My 9-year old son plays Pokémon GO, but I consider him more of a social player. He enjoys looking for Pokémon with his cousins, but he’s not as obsessed with finding them on his own. I like the extra walking he does, though I’m not a Pokémon player myself. In just the short time Pokémon GO has been out, I’ve been bothered by the number of people I see who walk with their heads down, hunched over their phones. The idyllic park landscape of the Pokémon Go Map is so much cleaner and more tranquil than real life. It’s easy to see why you would stare at the screen as you walk instead of look around you. In Hawaii, we try to drive with aloha and live with aloha, and I’d like to see us game with aloha. Players can do that already by just being aware their surroundings and acknowledging people they see as they hunt for Pokémon with eye contact and a smile. I started thinking about how Pokémon could change mobile gaming – again. Maybe Niantic’s next innovation in the game will be Pokémon Greet, which would require not only steps tracked by GPS, but social interaction – having conversations with people in the real world. Maybe the game would ask you Poké Qs, random questions (not personally-identifiable questions), like security questions, which would be stored in your gaming account. Maybe when you bump into another player, you would both have to accept the “Meet” – and then you would have to ask each other one of the random questions. Maybe one of your stored questions would come up on the screen (in case you forgot it), and you would have to type in other person’s answer – no electronic exchange of answers. Maybe when you exchange answers, you would gain social credit, team points, or extra Poké balls. 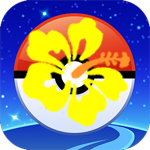 Maybe you could even share “aloha” by gifting a Poké Ball or a Poké Coin to people who answer more Poké Qs, or who are helpful or friendly. Maybe social credit or team points could give you a small power boost in gym battles or let you play in a new “tag team” mode, with your Pokémon “tagging” another when they start to weaken. The key is to make sure that people have physically safe and digitally secure interactions with others. That will ensure that we step with aloha – and game with aloha. If you plan Pokémon GO, what do you like about it? What improvements would you make to the game? If you don’t play Pokémon Go, do you play other online, PC, or console games? Recently, I started looking for a new job. As I updated my resume, I reflected that job hunting is very different from when I first looked for a job. More and more, we are not satisfied with just having a job to pay our bills. We want more than a career – we want a calling. We want to work for ourselves instead of someone else, to have more control over our time and projects. We want our job to mean something so that we feel the satisfaction of not just a job well done, but a job with purpose. In college, my job search criteria were convenience and opportunity. Without a car, my choices were limited. Is it close to where I live? Will they hire me? Without work experience, I expected to get an entry-level, minimum wage job. I expected that I probably wouldn’t like it. I expected it to be temporary. Right out of college, my job focus was on value – the highest salary I could get for my skills, even if I had to commute farther or work longer hours. I was willing to put in the time to gain experience. Will I enjoy my job most of the time? Can I work with my boss and my co-workers? Do I trust the company and believe in its products or services? I expected to have to prove myself. I expected a minimum level of benefits. I expected some opportunity for a promotion. In later jobs, my goal was challenge. It was about taking on more responsibility and planning as well as doing. It wasn’t necessarily about a promotion or pay increase (thought it helps). What can I learn from the job? How can I contribute to the company? I expected to work longer hours. I expected to have some fun and room for creativity. I expected that my efforts would be acknowledged, if not rewarded. Now my perspective has changed again and service is a higher priority. 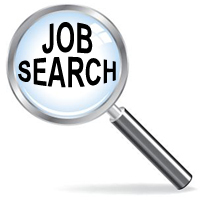 I know we often take the jobs we can get, but a big part of finding a job is where we start looking for a job. How does the company help the community? What does the company value? I expect the company to have local ties. I expect a corporate philosophy of giving back in some way. Many college students and recent graduates seen to have jumped to a realization that took me years to reach: people are more important than a career. What values are important to you when looking for a new job? What values are important to your business? My favorite ice cream flavors are chocolate ice cream, chocolate ice cream with peanut butter, and Moose Tracks ice cream, which is really vanilla ice cream with ribbons of chocolate fudge and mini chocolate peanut butter cups. For me, it’s all about the chocolate. So I was excited to learn that July is National Ice Cream Month. It’s a whole month to indulge in ice cream! And we celebrate National Ice Cream Day this week, on July 17, the third Sunday in July. Does this give us permission to eat ice cream for breakfast? I think so. * Indulge in ice cream. This month, you can enjoy your favorite ice cream guilt-free. Try a new flavor, add some mix-ins, or sprinkle on some toppings. Or make your own ice cream – wikiHow.com offers eight easy ways to make homemade ice cream, no matter how simple your kitchen (without an ice cream maker, in the freezer, using a freezer bag, and in a pot freezer). * Reveal your flavor personality. Find out what your favorite ice cream flavor reveals about you in this fun guide by TheKitchn.com. Or make up your own quiz and ask your friends about their favorite flavors. * Unfreeze the ice cream poet in you. Create an ice cream cone shape poem with this template from EnchantedLearning.com. Write about the joys of ice cream, a childhood memory, or eating ice cream for the first time. * Reflect on yesterday, today, and tomorrow. Take a few minutes (while eating ice cream, of course) to think about what you learned yesterday, what you are thankful for today, and what you will accomplish tomorrow. You can turn your thoughts into a Sundae and color it with your favorite flavors using this free Sundae Reflections printable that I made, using clipart from Teaching Lane. * Write a Sundae book report. Kids of all ages can download a free “Sundae Summary” book report created by Deb Hanson on TeachersPayTeachers.com. The setting and characters are the bananas; the three ice cream scoops are the beginning, middle, and end; and the theme is the cherry on top. What is your favorite ice cream flavor? If you don’t eat ice cream, what is your favorite frozen treat? Recently, I’ve been over-scheduling myself – taking on more responsibilities at work, while keeping family and friends a priority, and trying to fit in the hobbies I enjoy in the margins. I sometimes take work problems home and family concerns to work. I’ve forgotten to schedule “unscheduled” quiet time when I can relax and revitalize myself. This summer, let’s take time to reflect on three commitments we can make to help us let go of stress and anxiety, and four doors we can open to live a more meaningful life. “We have a choice. We can spend our whole life suffering because we can’t relax with how things really are, or we can relax and embrace the open-endedness of the human situation, which is fresh, unfixated, unbiased,” writes American Buddhist nun, teacher, and author Pema Chӧdrӧn. We can learn how to live with uncertainty and change by following the Three Commitments, explained in “Living Beautifully: With Uncertainty and Change” (2012) by Pema Chӧdrӧn. These teachings were given at Gampo Abbey, a Tibetan Buddhist Monastery in Cape Breton, Nova Scotia, in 2009, and are loosely based on the traditional Buddhist Three Vows. Chӧdrӧn teaches us that pain is neither good nor bad – “It’s our interpretation of it that makes it so” – and that we need to acknowledge our pain and anxiety, giving it our full attention, so that we can let it go. First Commitment: Committing to not cause harm (Pratimoksha Vow). Refrain from speech and actions that are harmful to ourselves and others. This makes us more aware of what we’re feeling and helps us trust in our basic goodness. It’s like walking down a very narrow corridor – if you lose your awareness, you’ll veer off course and bump into a wall. Second Commitment: Committing to take care of one another (Bodhisattva Vow). Invite everyone to be your guest, even if it’s just for a day or a week. Then gradually lengthen the invitation. Do what you think will bring the greatest benefit. It’s like being on a sinking ship and vowing to help all the other passengers get off the boat before you do. “Everyone has problems. It’s how we choose to deal with our problems that matters. Some people choose to be whiners – some choose to be winners,” writes novelist Richard Paul Evans. PURPOSE. Believe there’s a reason you were born. Sometimes our purpose is given to us, sometimes we find it by following our passion or listening to our inner voice. IMAGINATION. Free yourself from limitation. Imagine a better life. We have to overcome our negative belief, self-doubt, and fear of failure. We have to take control of our lives (don’t think of yourself as a victim! ), learn from adversity, offer forgiveness, and feel gratitude. VISION. Magnify your life. Have a dream. Ask “what if?” and “why not?” Take risks. LOVE. 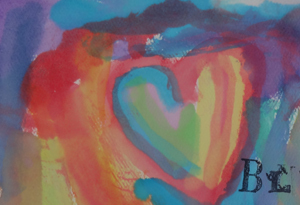 Develop a love-centered map. Love that wishes good for someone else is an act of will and a skill to be developed. “Love is the destination and the journey.” The fourth door leads to all others. Do you experience a lot of stress and anxiety in your life? How do you recharge yourself? 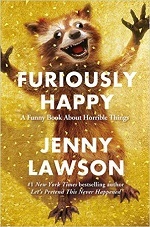 The golden front cover with a grinning raccoon about to hug you – or claw you – is bold and eye-catching. “Rory’s tiny arms perpetually reached out as if to say, ‘OHMYGOD, YOU ARE MY FAVORITE. PERSON. EVER. PLEASE LET ME CHEW YOUR FACE OFF WITH MY LOVE,'” author and bloggess Jenny Lawson pronounces. I found myself laughing out loud as I read “Furiously Happy: A Funny Book About Horrible Things” (2015). It’s an outrageously funny book about living with mental illness and Lawson’s war against “the monster of depression.” Lawson is hilariously irreverent and randomly awesome with this collection of essays, conversations, and random thoughts. Lawson faces daily struggles with depression, ADD, sleep disorder, rheumatoid arthritis, and anxiety disorders, but she has decided to be vehemently, passionately, crazy happy and embrace being not normal. She is honest about her depression and anxiety. She doesn’t try to give people advice, but she does offer a small glimpse into her out-of-control emotions and anxieties. Her life is filled with the ordinary: her conservative, responsible, patient husband Victor; her 10-year old daughter Hailey; her cats, Ferris Mewler and Hunter S. Thomcat. It’s enlivened by the strange: notably two taxidermied raccoons, Rory and Rory Too, with manic smiles and jazz-hands. And it’s true: weird things happen to her and crazy things are drawn to her. I enjoyed her story of a dog biscuit-eating drive-through pharmacist; the phone messages she leaves for herself; the midnight cat rodeo with a taxidermied raccoon; her made-up words like “concoctulary” (concocted + vocabulary); and her clever rants about bragging pants, her battles with spell-check, and her trip to Australia. I was excited that she knows author Neil Gaiman well enough to text him and get a reply (some really good advice, too: “Pretend you’re good at it.”). Reading the book, I realized that there are five perks to being Jenny Lawson: 1. She makes a living (blogging and writing books) out of being crazy. And it’s tax-deductible, if she can remember to keep her receipts. 2. She can say outrageous things because she’s crazy, and gets to live life with “Tiny Babies” filters. 3. She can, no must, eat cheesecake so that her fans and readers won’t be disappointed if she loses weight. 4. She recognizes what the good things in life are for her. 5. She knows she is not alone. Life might be easier without her, but it wouldn’t be better. Lawson is definitely someone I’d like to spend a day with, but I would be afraid to read her blog the next day. What makes you furiously happy? Do weird things happen to you or are you the responsible one who watches the weirdness around you? You are currently browsing the Better Hawaii weblog archives for July 2016.